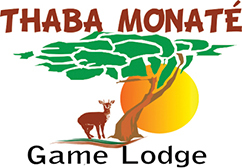 Welcome to Thaba Monaté Game Lodge situated in Bela-Bela (Warmbaths) in the province of Limpopo, South Africa, nestling in the heart of the Waterberg Mountains with excellent weather and year-round sunshine. We are a Comfortable one and a half hour drive from Johannesburg brings you to this quiet and restful family resort, Thaba Monaté offers fully equipped luxury self-catering chalets in private settings, or alternatively shaded and appealing caravan and camping sites. This premier Bushveld Resort is renowned for its facilities in a magnificent and awe-inspiring reserve spreading over just over 400ha that is characterized by its unspoiled natural environment, wildlife and relaxed atmosphere under a star studded African sky. As a well-established and efficiently managed resort, Thaba Monaté will ensure you a memorable and relaxing holiday in the ultimate comfort coupled with unrivalled service. Be sure to make your booking well ahead of time!